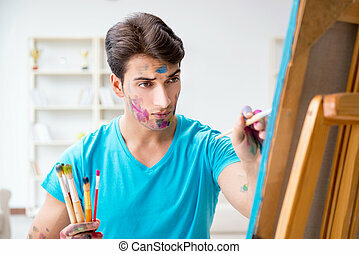 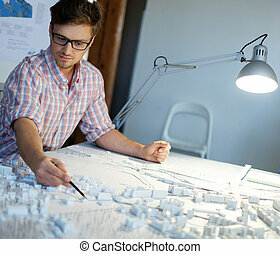 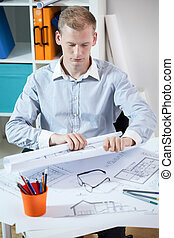 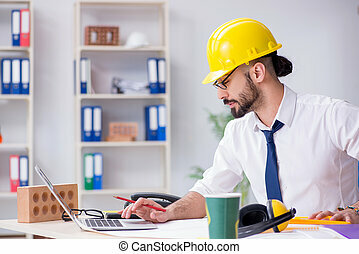 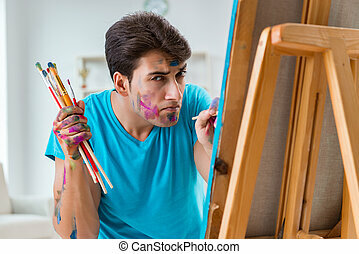 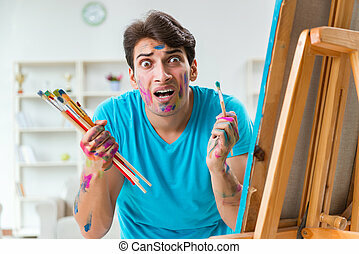 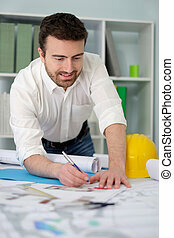 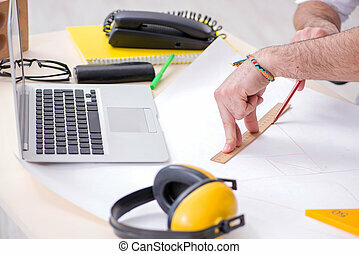 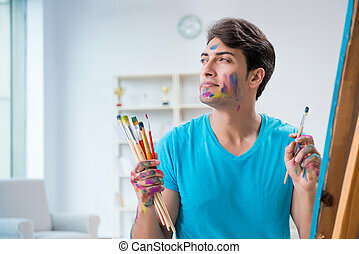 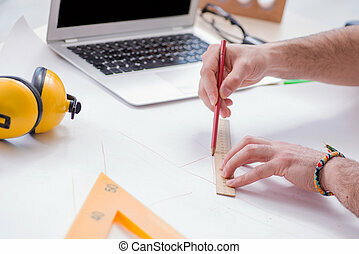 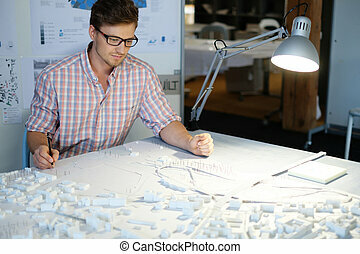 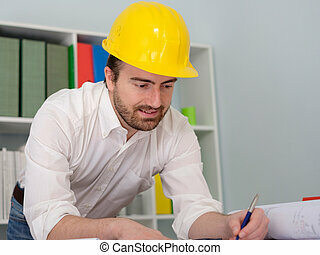 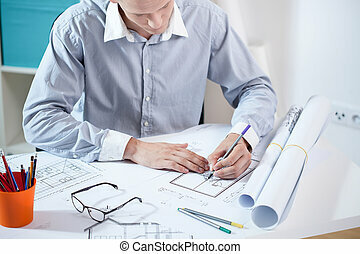 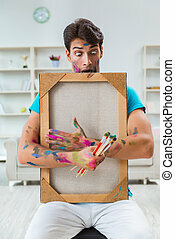 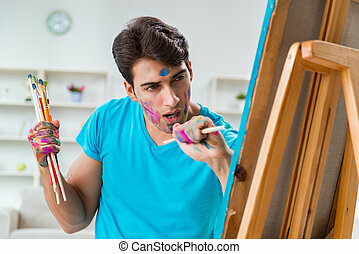 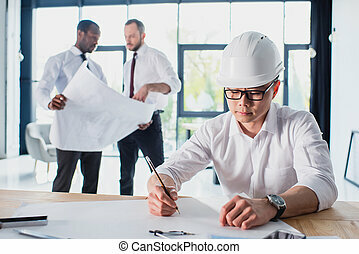 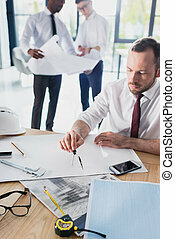 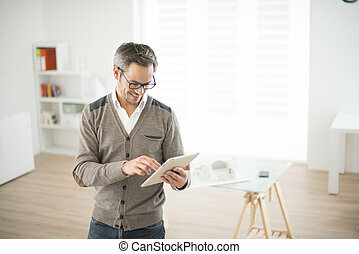 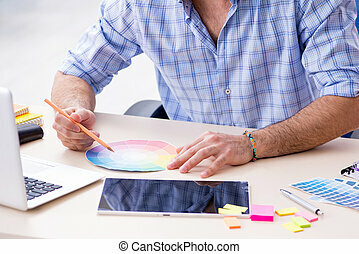 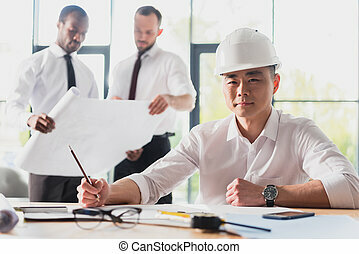 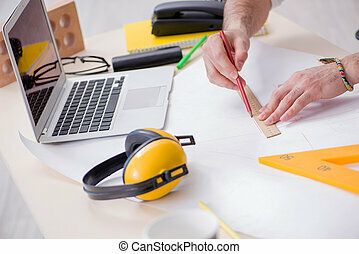 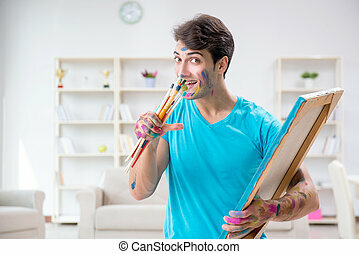 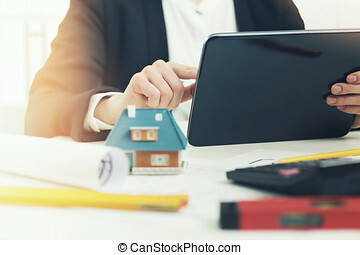 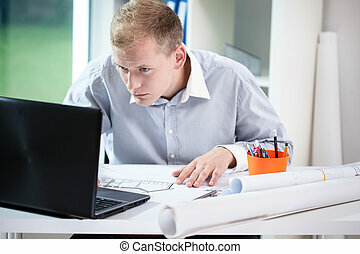 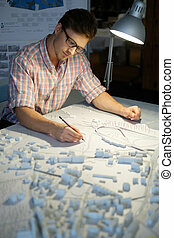 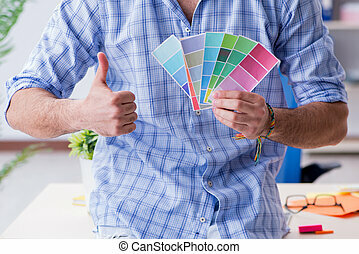 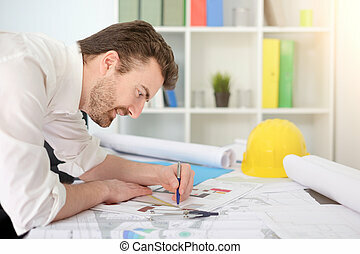 Architect working in his studio on new project. 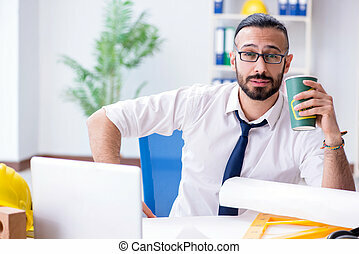 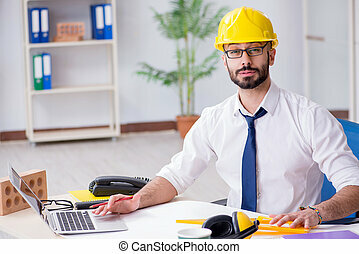 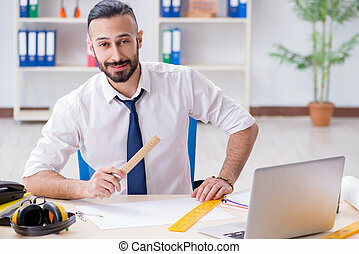 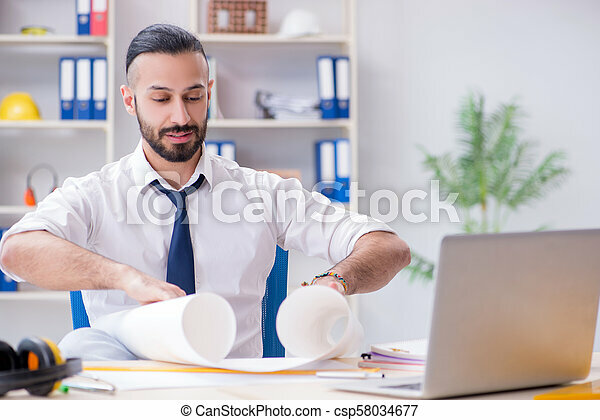 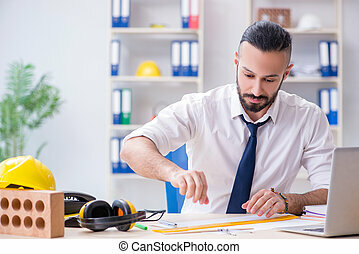 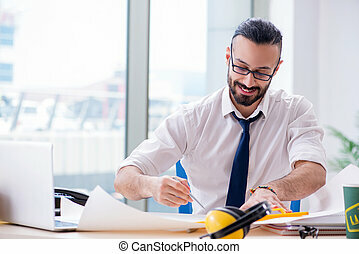 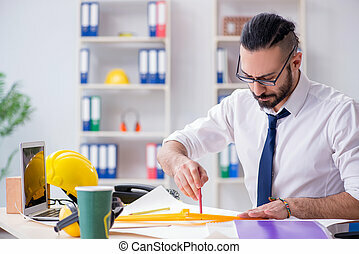 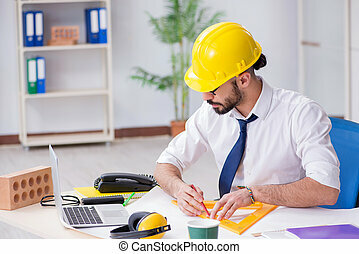 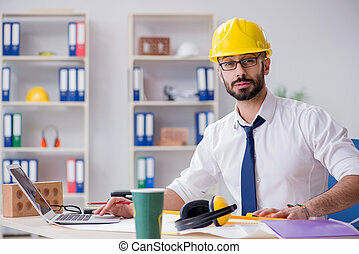 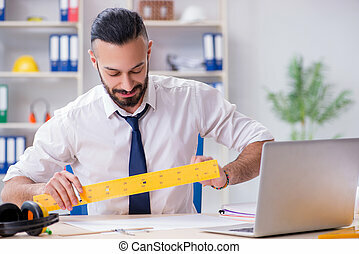 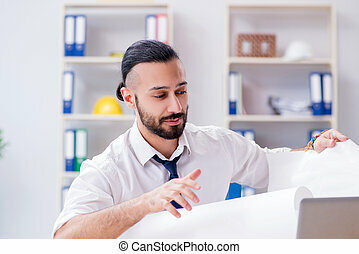 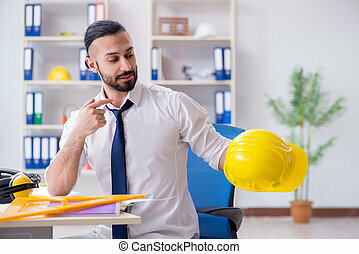 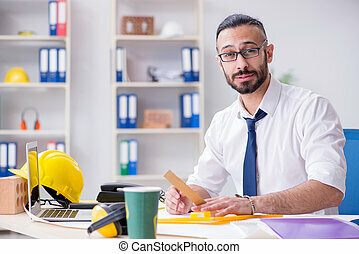 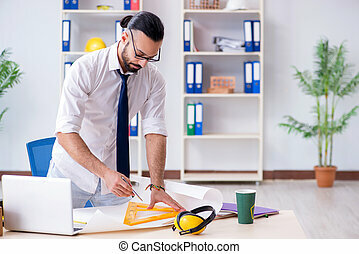 Young architect working on his project in the office. 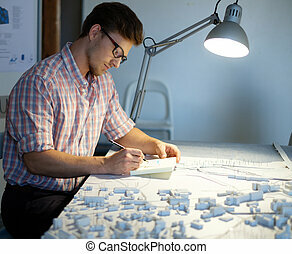 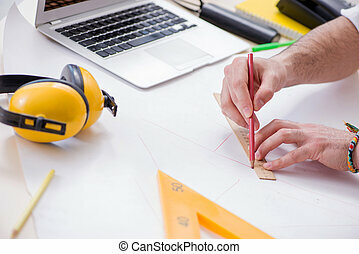 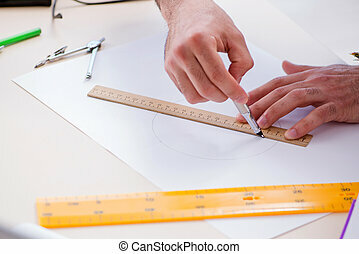 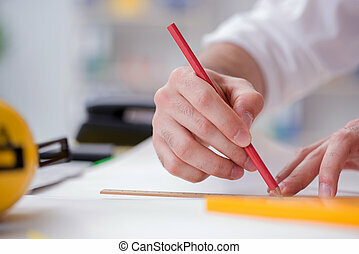 Young architect working on drawing table in architect studio.